If you purchase a pre-’67 Factory Fit engine harness that is modified for for HEI, you will notice a bonus pink wire and a few instruction sheets in the packaging. This isn’t an (admitted) attempt at wire origami. The original dash harness in a pre-’67 vehicle was not designed to support high energy ignition, and the wire above replaces a feed from the ignition switch to the fuse box. 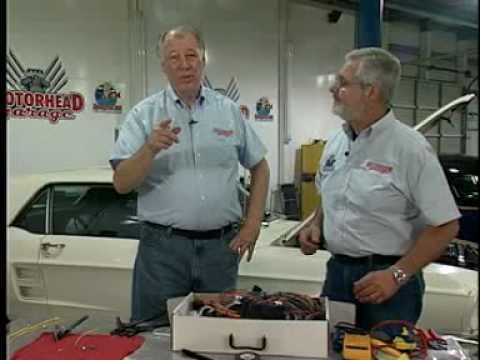 In short, it not only updates and upgrades the wire to your ignition switch, but allows the ignition feed wire to bypass the fuse box busbar for a direct 12 gauge to the engine harness. This is a fairly minor change, but it will help an original harness cope with a more modern ignition system. You’ll never know the new wire is there once installed, but wiring is all about attention to detail!